Home › Travel › APN Travel – Bangkok. May 15. 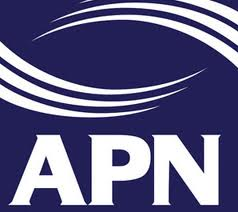 APN Travel – Bangkok. May 15. Thailand, the Kingdom of Smiles, continues to woo the world with its magnetic tropical beach resorts and big city thrills. A quick city-break in the heady soup of Bangkok delivers incredible bang for your buck – or baht. Yes, it’s a sprawling monster of a city with ever-expanding roadways and belching pollution. 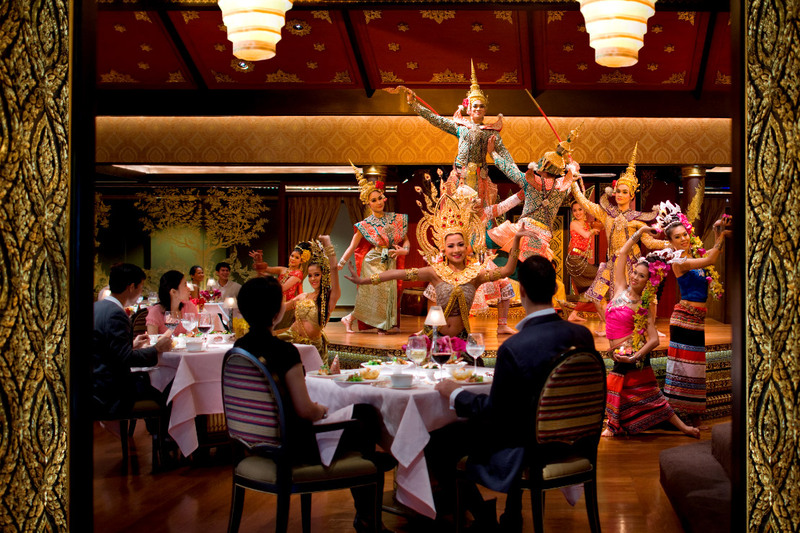 But beneath the urban haze is a city of intoxicating character, fusing western commercialism with exotic Thai tradition. Fronting the river is the frenetic organised chaos of Chinatown, a maze of lanes teeming with food stalls, trinkets, jewellery and souvenirs. On the weekend, make a beeline to the Chatuchak, one of Asia’s biggest market affairs, touting every imaginable product, from puppies and tea-sets to snakes and silk. If you’re a nocturnal bargain-hunter, check out Asia Teak, the city’s new night market. For top-end retail therapy, Bangkok still dazzles with eye-popping discounts on hi-fi electronics. Plasma TVs routinely sell at a third of the standard price available back home. Even wit h excess baggage charges factored in, you can save yourself a fortune on home entertainment. Street life is at the core of Bangkok’s essential spirit, and the city could well claim the title for being the biggest al fresco eating experience in the world. The sidewalks are peppered with a seemingly endless choice of food stalls. Whether its coffee and donuts for breakfast, or coconut chicken curry for lunch, cheap eats on the street will seduce you. Word for advice – only eat where the locals are eating. The City of Angels sports its Thai Buddhist stripes with extravagant passion, with a profusion of lavishly ornate temples gilding the city. Religious devotion is not confined to the sparkling white-washed temple walls of the central city. For a point of contrast, visit some of the inner-suburbs where you will find clotheslines strung across winding lanes, resplendent with the freshly laundered saffron robes of monks. But savouring the city’s riverside temples is unquestionably the marquee attraction, starting with the Grand Palace and Wat Phra Kaew. Arrive by 8.30am to get the jump on the stampeding hordes of Chinese tour-groups. 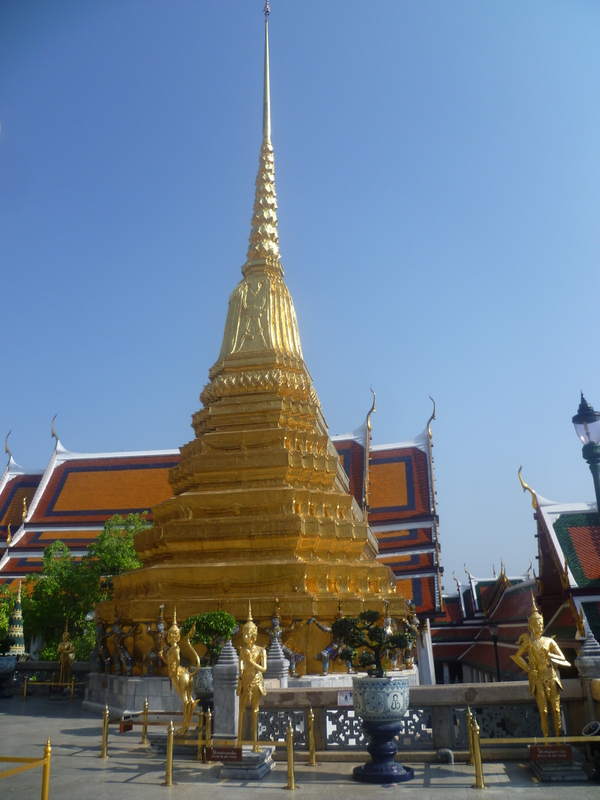 Up until 1900, the Grand Palace was the official residence of the Thai monarchy and a self-contained city. Its most acclaimed feature is the Temple of the Emerald Buddha – the statue is draped in ceremonial robes which are changed with the seasons, by the king himself. 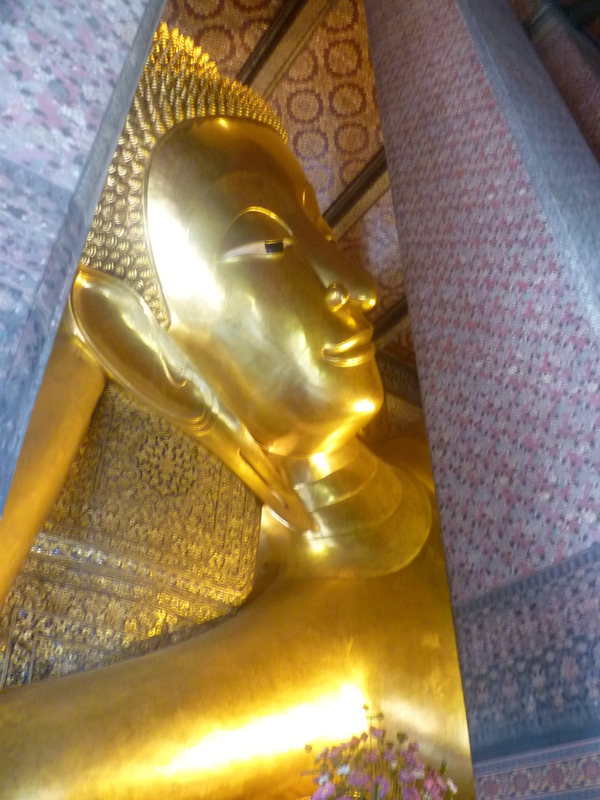 Next door, walk in the footsteps of President Obama who recently visited Wat Pho, home to the utterly sublime Temple of the Reclining Buddha, symbolising his passage into nirvana.The 46 metre long, gold-leaf gilded figure is a truly majestic sight. 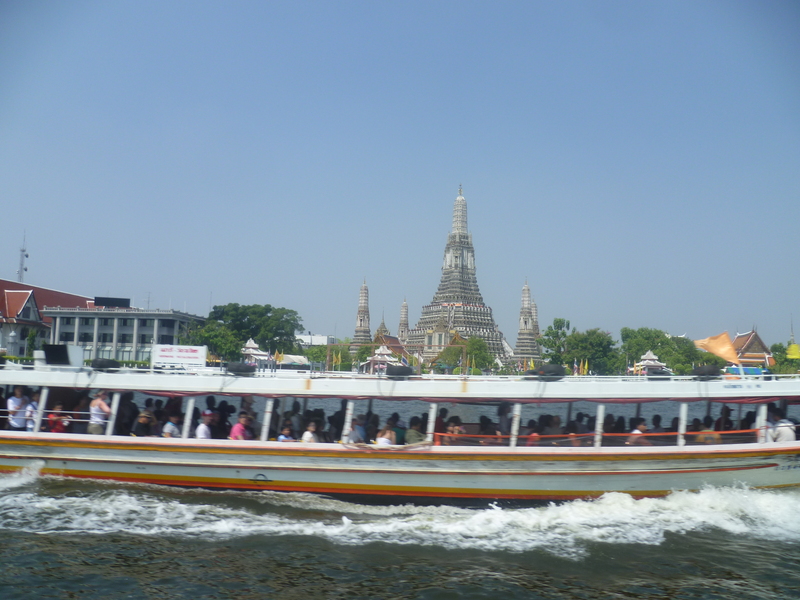 Chao Praya, the River of Kings, cuts a course through the heart of Bangkok and the public ferries are a great way to hop-around the sights, with single trips a snip at less than $1NZ dollar. 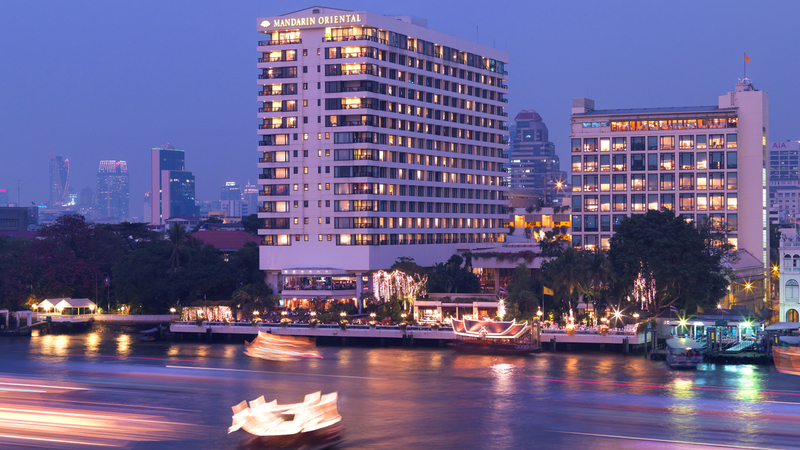 With a storied history spanning 137 years, Bangkok’s most famous hotel has a prime riverfront location. The Mandarin Oriental remains a favourite haunt for royalty, rockstars and dignitaries – you never know who you may bump into. I love how the hotel has showcased its legacy, by naming and designing its heritage suites after some literary luminaries who’ve graced its doors, including Joseph Conrad, Somerset Maugham and Noel Coward.